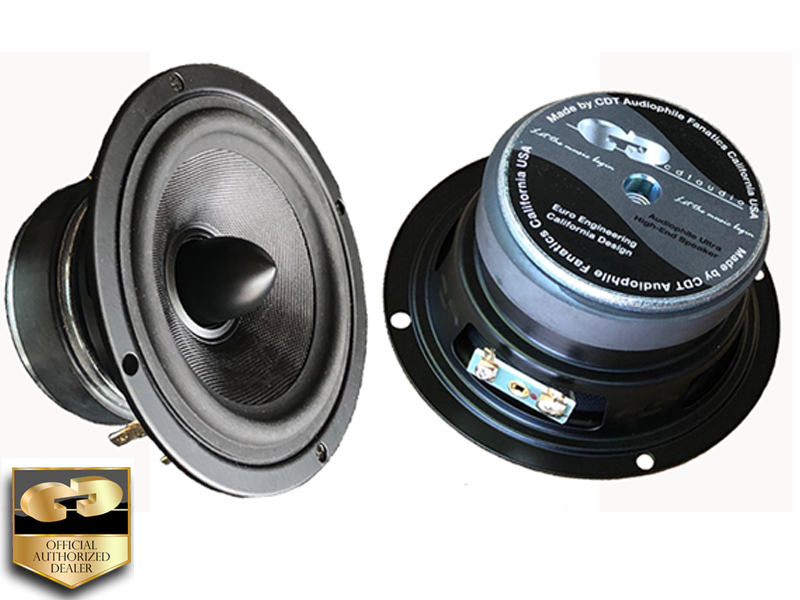 The main goal of CDT GOLD is to interpret and provide superior solutions to the acoustical situations characteristic of car audio. The devil is in the details and so is the magic. These fabulously smooth, keval mixed fabric fiberglass, and treated paper black coned beauties extract all the music and add no coloration to that sound. They start and stop on a dime for the most lucid recreation of the musical experience. From rap to rock they are on top, and the rendering of serious classical profundities is also exquisite. Utilizing a rubber edge and soft polymer dust-cap these drivers create and absorb vibratory waves with astonishing control.